You might not know that Thais do up some tasty fried chicken. And that fried chicken is commonly eaten- from roadside to restaurant. If you’re in Bangkok and want a good fried bird (in aircon and with great som tum too), head to Jacky Fried Chicken on Soi Polo, just by Lumpini Park. 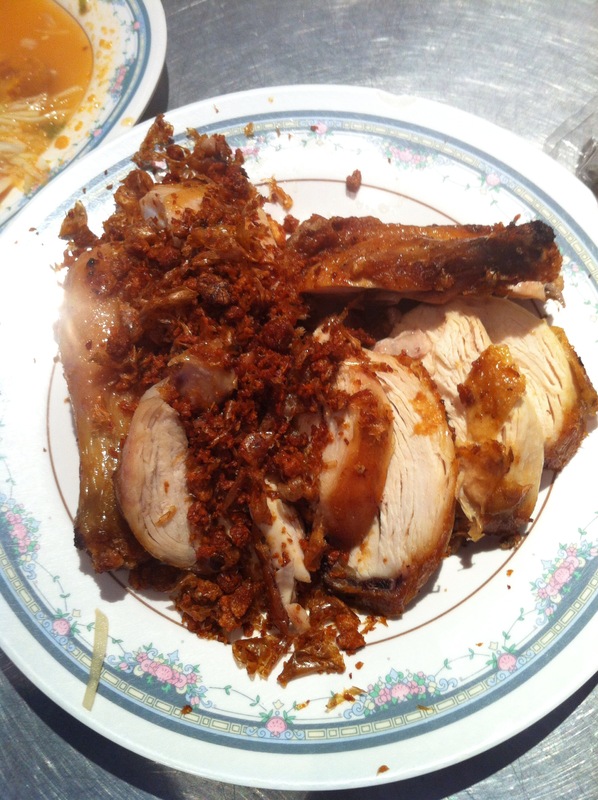 Here’s picture of the half bird, perfectly fried with all the crispy garlic bits…. This entry was posted in Food & Restaurants and tagged Bangkok, fried chicken, thai food. Bookmark the permalink. 2 Responses to If You Haven’t Visited Thailand…. Ohhhh yeah! I live right there but have yet to try this place. Thanks for the recommendation! is this the big red sign fried chicken?